A Pageant of Kings: A Hundred Years of War. Six burghers of Calais were brought to the king. 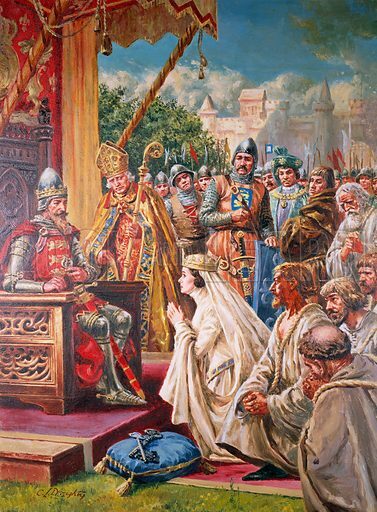 The keys of the city were laid in front of him and the burghers were to be executed... until Queen Phillipa dropped to her knees before him. Original artwork for illustration on p10 of Look and Learn issue no 128. Scanned from transparency.